Bunk house style accommodation and home cooked meals. Plenty of entertainment including swimming pool, table tennis and volley ball. Morning and afternoon rides every day through the week, including lessons, trail rides across the paddocks, horseback games and obstacle courses. 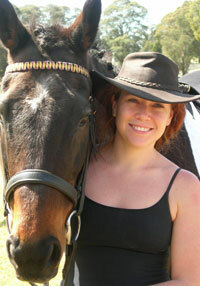 Daily lessons in feeding, rugging, grooming, saddling up and general horse care.